Do you know your birthstone? If no, then this list of birthstone associated with each month is going to lend a hand to you in your quest. Each month of the year in the calendar is linked with a particular gemstone, which has certain features and qualities. These gemstones are known as Birthstones. They are categories as precious and semi precious. To know about the origin of Birthstones, we have to turn the pages of history all the way back to Biblical times. As per the book of Exodus in the Bible, Aaron created a breastplate of twelve stones on the word of God. Today’s birthstones are associated to these twelve stones. In 1912, the Jewelers of America Association formed a modern birthstone list which is universally acceptable. Birthstones since ages, holds a distinct place in history, astrology and science. Apart from this, as per few believing, birthstones have significance role in healing as well. People do believe that wearing the right birthstone has a great impact on their fate. There is copious folklore in history about the importance of birthstones in one’s life. Many consider birthstones a lucky charm for them. 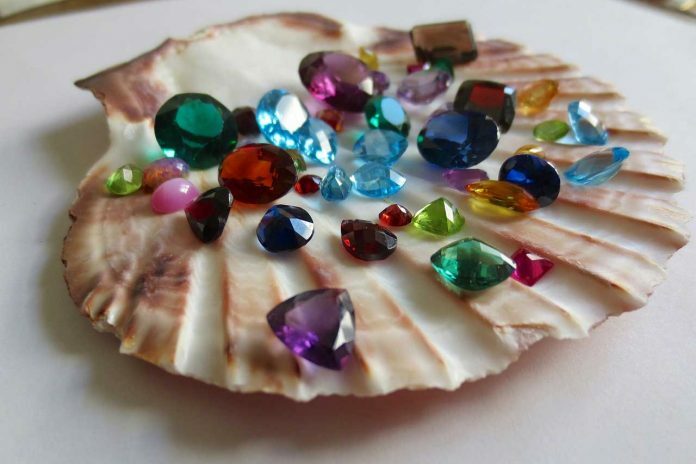 During the fifteenth and sixteenth century in Poland, the thought of weaning birthstones became popular. The customary belief was that each one wears the certain birthstone assigned for each month since the powers of the birthstones were heightened during its month. Now days, birthstone jewelry is one of the best gift for your loved ones. Wearing birthstone is in vogue currently. Whatever are your reasons to wear birthstones, they are always a thing of necessity. Now let’s find out the birthstone associated with each month. If you are born in January, then Garnet is your birthstone. This more or less transparent red gem with vitreous luster, ensure the travel safety of its wearer. It also symbolizes the companionship and trust. This purpled color variety of Quartz ids the birthstone for February born people. Amethyst is known to strengthen the relationship of its wearer, and prevent from drunkenness. Word Amethyst is of Greek origin which means “sober”. If you are born in March, than this stunning Aquamarine is your birthstone. This stone has mesmerizing color and beauty. It protects its wearer from the lungs, hearts and liver diseases. The word Aquamarine is derived from two words i.e. Aqua means water and Marina means sea. Thus it was named after the beautiful sea. For sailors, it was considered as a good luck charm during their voyage in the sea. It is to believe that Aquamarine is a symbol of reliability, honesty and beauty. Lucky are those who are born in April as their birthstone is Diamond. Diamond is one of the most precious gem stone present on earth as of date. It has a distinctive shine and unmatched hardness which makes it only one of its kind. It is certainly the most highly prized gemstone so far. 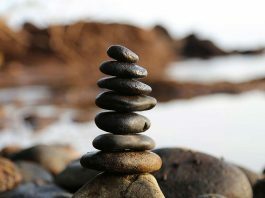 It represents inner strength, poise, clarity and abundance. This brilliant green colored gemstone is associated with the month of May. Emerald was the love of Cleopatra. It is linked with nature and fertility owing to his green color. It bestows its wearer with wisdom, faith, success and bliss. 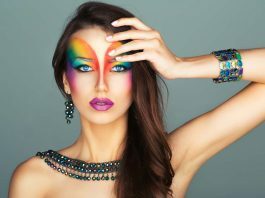 Because of this appearance and color, it has adorned many crowns as well. The people born in June are lucky enough to have three birthstones: Pearl, Alexandrite and Moonstone. Pearl is the queen of gems and gems of queen. This white colored stone is the symbol of harmony, success, pleasure and love. 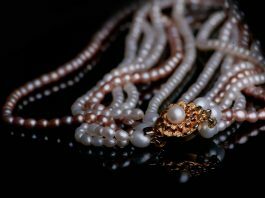 Pearl is the only gem which is not mined, but formed inside the fresh water clams and saltwater. It is also known as the stone of sincerity. It has a splendid appearance thus widely used in jewelries. The second birthstone of June is Alexandrite which represents intuitions, originality and mind’s eye. Moonstone, the third birthstone of June is a symbol of passion and calmness. Ruby, a deep red colored precious gemstone, is the birthstone for July. It acts as a magnet of Good Luck for its wearer. It is one of the most widely used precious gemstone. The deep red color of the stone symbolizes life, blood, courage, love and passion. Peridot also refers as “The Evening emerald” is the birthstone of August-born people. It is believed to shield its wearer from evil eye. Sapphire is the birthstone for September-born people. This blue hue stone is a symbol of peace, serenity purity and wisdom. As per the belief of Christianity, the unique deep blue color of Sapphire represents heavenly grace. If you are October born then Opal and Tourmaline are the birthstone for you. Opal symbolizes hope and innocence while the other has the power to safeguard its wearer against radiations, toxins, pollution and negative thoughts. Citrine and Topaz are the birthstone for November-born people. Topaz is a dynamic birthstone which provides emotional balance, and upholds a harmonious way of life to its wearer. Citrine belongs to the family of Quartz and is believed to support vitality .it also refers as “The Healing Quartz”. The last month of the calendar is associated with three Birthstones: Tanzanite, Zircon and Turquoise. All the three stones have a tint of blue. Tanzanite is unique because it can only be found in Tanzania only. It helps in the treatment of anxiety, depression, worry and fear. Zircon is a common replacement of Diamond, and symbolizes prosperity, honor and self-respect. The last stone of the month is Turquoise. It bestows fidelity, confidence upon its wearer. Since ages, it is known for its distinct color which makes him suitable for jewelries. The list, but not the significance, of the birthstone linked with each months ends here. The wide- ranged use of Birthstones makes them a must-have for everyone. Because of their numerous uses in day- to- day life, they have become an integral part of our lives.